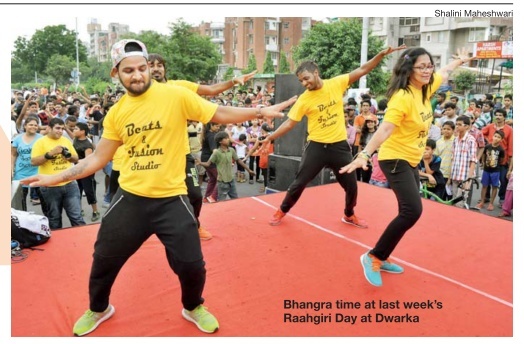 Gear up for another fun Sunday at Dwarka's Raahgiri Day . If you've always wanted to learn how to pop n' lock, then head to the TOI stage for the Urban Hip Hop ses for the Urban Hip Hop session by Critical Innovation Crew. And if thumkas are more your thing, then take part in the dance workshop with Punjabi Tadka by Yogstars. If you just want a peaceful morning, then head to the puja at the TOI stage by Hansdhwani Music Academy . Those who love scavanger hunts can participate in the Khojees Hunts: Scavenger Hunt.Cycles will also be available for rent for free at the TOI Cycle Corner.